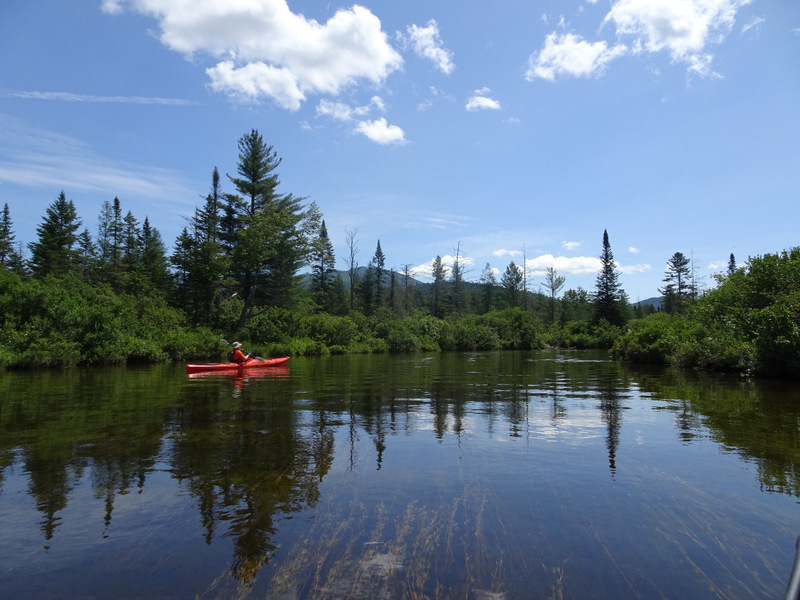 Paddle in the St. Regis Canoe Area – the largest wilderness canoe area in the east. The St. Regis Canoe Area is the only designated canoe area in New York state covering 18,400 acres and over 50 ponds. The Paddle Outing typically takes place in July, with Paul Smiths College as the base. There are over 40 different opportunities for day trips. Each morning begins with optional stretching exercises, followed by breakfast in the college dining hall. After breakfast, select the items for your lunch, prepare your equipment, get to the point of embarkation, and YOU’RE OFF! All trips are led by other paddle outing participants and vary in length and difficulty. Some trips may have carries, but you can select the trip that meets your interest and skill level. Following each day’s trip, return to the dorm and enjoy a hot shower (laundry facilities are also in the dorm) and a snooze if desired, then enjoy the fellowship of other paddlers in the lounge. After dinner, the group meets to hear about the day’s trips and plans trips for the following day. Evenings offer possibilities of walks, reading and games. 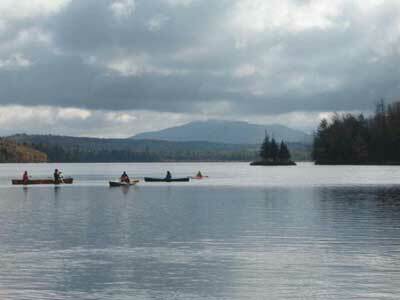 ADK membership is required to attend the Paddle Outing. The cost includes your lodging and three daily meals – dinner on the first day through a box lunch on the last day. Prices DO NOT include canoes, kayaks or transportation of your boat. Reservations are by mail only. $110 per person non-refundable deposit. No checks accepted before February 19,2019. Prices are subject to change. Contact the leader after June 1 to see if there are any cancellations.